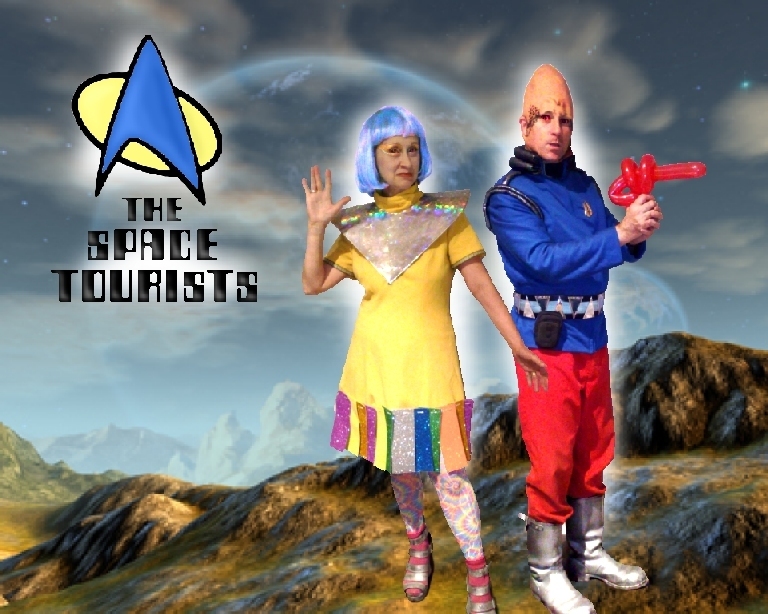 "Sci-Fi and Futuristic themed entertainers"
THE SPACE TOURISTS are a colourful couple of comedy alien visitors with a 1960's science fiction TV show feel. 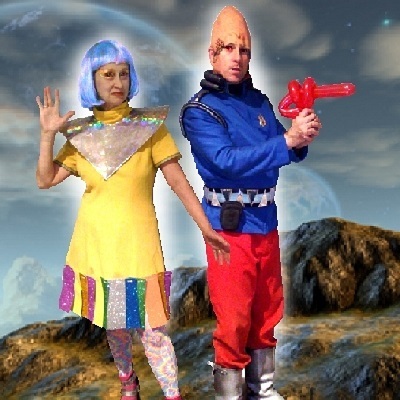 Lively, hilariously funny and brightly visual, these two crazy aliens will befuddle you with their questions about life on Earth and amuse you with their enthusiastic desire to discover exactly what makes you Earthlings tick. In addition to character walkabout and meet and greet, they are also both balloon modellers, so can be hired for childrens events to craft aliens, space guns and other sci-fi themed balloon models. DWEEBIE THE ROBOT is a colourful and comical robot mime character for meet and greet or walkabout environments. 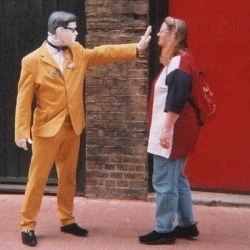 Very popular with shopping centres he interacts in humorous ways, mimicking people in their movements, and often freezing, manequin-like outside a shop, waiting to surprise an unsuspecting passer by.